Keware is a 20-year old international trade limited company, a leading supplier of construction hardware to the international market. 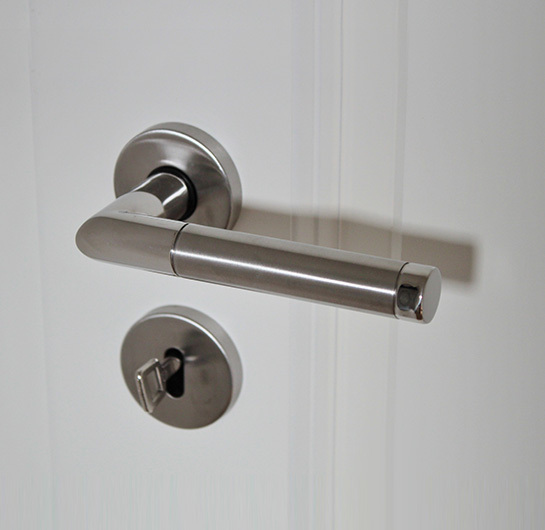 We focus on handles, locks, cylinders, keys, hinges and other accessories in doors and windows. In the past 20 years, we have seized a large number of market shares around the world, developing our clients in Europe, America, Middle East, Asia, etc. Today we have 1 own factory, 4 strategic cooperative factories and above 250 long-cooperation partner factories. Around 500 staffs, in total, are hired in our 5 factories. Keware is committed to in providing high quality products and build a reputation on service, rapid response to the international customer demand at the same time. The main goal is to improve customer satisfaction. Our mission is to provide high quality products and services to the customers, let our employees and partners to share our success. Our vision is to be one of the most successful companies in the world to deliver the best customer experience in the home hardware market we serve.